The Besieged City’s Lucrécia is unlike any of her heroines—mute and unreflective, she may have no inner life. And its plot resembles no other Lispector narrative: small town gal marries rich man, sees the world, and lives happily ever after. 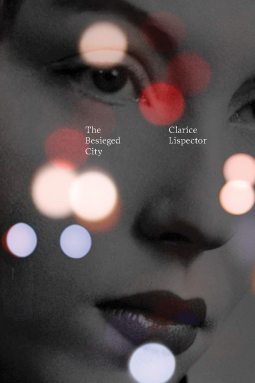 About the Author: Clarice Lispector (1920-1977), the greatest Brazilian writer of the twentieth century, has been called "astounding" (Rachel Kushner), "a penetrating genius" (Donna Seaman, Booklist), and "a truly remarkable writer" (Jonathan Franzen). "Her images dazzle even when her meaning is most obscure," noted the Times Literary Supplement, "and when she is writing of what she despises, she is lucidity itself." Benjamin Moser is the author of Why This World: A Biography of Clarice Lispector, which was a finalist for the National Book Critics' Circle Award, and is also the editor of the New Directions Lispector program. A former books columnist at Harper's Magazine, Moser is now a columnist at The New York Times Book Review, and is currently at work on the authorized biography of Susan Sontag. He lives in the Netherlands. The son of Brazilian immigrants. Johnny Lorenz teaches at Montclair State University and received a Fulbright for his work in Brazilian literature. He has also translated Clarice Lispector's A Breath of Life for New Directions.